JCE Pro 2.7 has now been officially released. Although JCE Pro 2.7 has been available for download for a few weeks now, significant changes in the API necessitated a "soft release" - limited availability only via the Downloads section of this site, and not via the the Updates channel - in order to limit user exposure to undiscovered major issues. We are now confident that all major issues have been resolved, and JCE Pro 2.7.7 is now available for Download and via Joomla Updates. JCE Pro 2.7 drops support for Joomla 1.5 and 2.5 and now requires Joomla 3.6 or later, including Joomla 4. A modern browser is required - the latest version of Firefox, Chrome, Safari, Edge, or IE11. Earlier IE versions are no longer supported. The administration component has been re-written, making better use of the Joomla API so as to support Joomla 3 and Joomla 4. 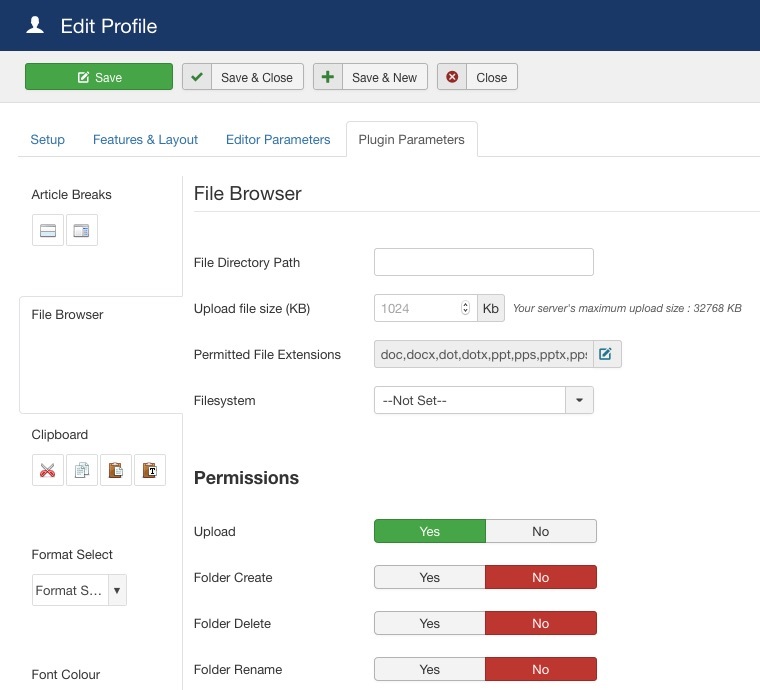 This provides a familiar interface and a more unified experience across the Joomla administration. 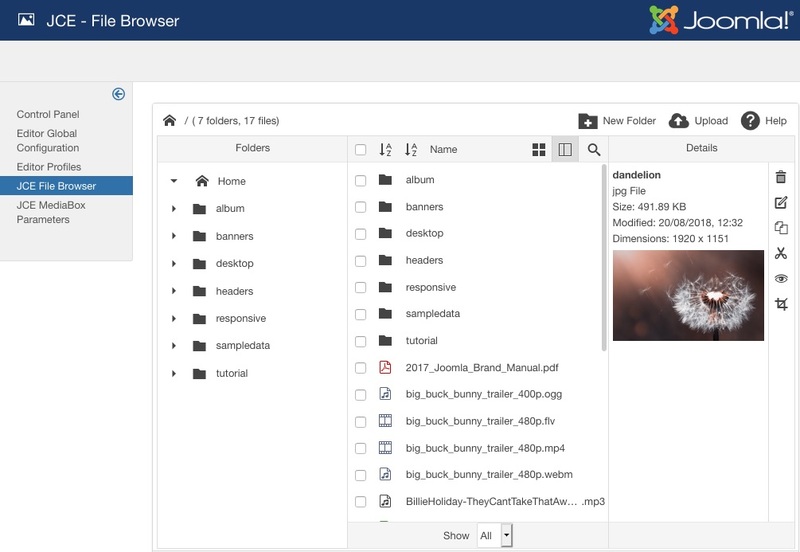 As Joomla 4 is still in the alpha development stage, the editor UI will need updating during the Joomla 4 development period. Some minor changes to the Admin UI in Joomla 3 and Joomla 4 should therefore be expected. The editor interface has been given a little refresh, with increased button size for the editor toolbar, and an updated layout and icon set for the plugin dialogs. Editor features remain largely the same, with a few minor improvements. For those of you who prefer to caption images using the <figure> and <figcaption> elements, applying the Figure option from the Format menu to a selected image will now create an editable caption area for typing into. There is some debate and uncertainty about the correct use of the <i> and <em> tags for italicising or emphasising text. JCE 2.7 now gives you control over this, with a click of the Italic button applying <em> to selected text (the previous default behaviour), and a SHIFT+Click applying an <i>. There aren't many new features planned for JCE 2.7.x or the 2.x series, as we continue work on a new editor (still the same, but different...), but look out for a retina display friendly toolbar theme, some new profile parameters and general tweaks and improvements.